After a long, harsh winter, millions of consumers in the U.S. are taking advantage of the warmer weather by visiting local retailers. If you are a small business owner, you understand that warmer weather is the perfect opportunity to reach out to customers in a powerful way – with eye-catching door hangers. Here are some reasons why door hangers are just the thing for promoting your store’s summer sales. Now that St. Louis is thawed and ready for summer play, customers are in much better moods. Thanks to warmer weather, folks are ready to get out and shop. No matter what line of business you’re in, customers are happier when the weather turns warmer. So before the weather turns cold again you’ll want as many potential customers to know about your seasonal sale as possible. Door hangers are ideal for promoting seasonal sales because they are impossible to ignore. Door hangers reach customers where your competitors aren’t. Door hangers don’t get lumped with your competitors’ direct mail. This is because they’re placed on doorknobs where your customers have to pick them up. 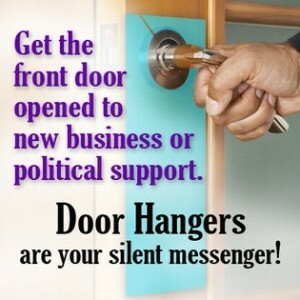 Traditionally, delivery services and utility companies have used door hangers to deliver important messages. This is why homeowners are more likely to read your door hanger. And if you add a coupon code, discount or perforated coupon with compelling offers, your door hangers are more likely to attract new and repeat business. Not only do customers get to take advantage of your offer, you can also track their response rate. Electro Image LLC works with companies in the greater St. Louis area and nationwide to design and print several differently designed door hangers. When companies track their door hangers’ response rates, they know which door hanger design worked best. Door hanger distribution is also another opportunity for your company to brand itself. Many companies send out a team of employees or volunteers with branded shirts and banners to promote their summer sales. Turn your door hanger distribution into a celebratory parade that reminds onlookers about your brand. 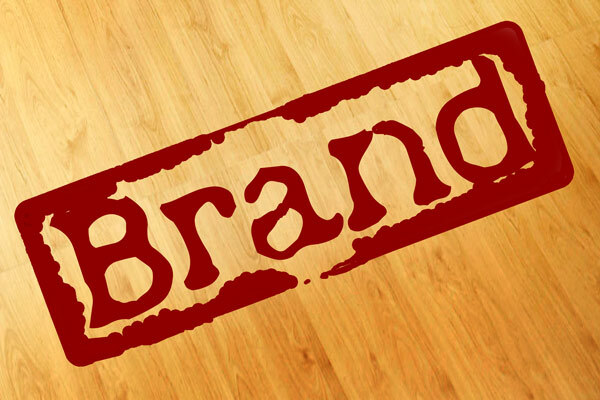 Brand exposure is vastly increased on days with warmer weather when more potential customers are out and about. When a team of employees or volunteers goes out to promote your company’s summer sale, they don’t have to be limited to distributing door hangers. Why not also distribute club card flyers, flyers, posters, stickers and other marketing materials? These items can be posted at the same time they’re distributing your door hangers. Launching a multi-channel marketing campaign is an efficient way to distribute marketing materials that results in repetition for customers. The more customers see your brand, the more likely they are to respond. When it comes to printing, door hangers are affordable. And when you get help from volunteers to help distribute them, the out of pocket costs are even less expensive. Volunteers are much more likely to distribute them for you when rewarded with a pizza party or cocktails. When you work with the designers and printing services at Electro Image LLC and volunteers, you reduce overhead for your summer sale promotion campaign while maximizing return on your investment. The designers and copywriters at Electro Image LLC can help you to incorporate a compelling, time-limited offer on your company door hangers with powerful, motivational copy and attention-getting design.